Get detailed insight into the lifecycle of each of your customers, right from the time they visit your bank's website, to getting converted into a potential lead and then loyal customers. Redirect your marketing campaigns towards maximizing your ROI with Aritic PinPoint. Identify the best marketing channel, optimum marketing message frequency, and all the available resources to build a unified customer experience. Monitor and create rich customer profiles to target and retarget them with relevant educational content, ads, and offers. Online banking across the globe is increasing swiftly. Your customers are using mobile apps and desktops to handle their banking-related issues. Are you ready for your customers then? Connect with your customers across multiple marketing channels and offer a consistent banking experience. With unified lead profiling, put all customer-information in one place tied to each other. Create lead-specific marketing messages to automate your customers’ buying journey. Use multiple marketing channels for customer activation, customer retention marketing, customer loyalty automation, referral automation, up-selling and cross-selling. Your customers make 90% of their purchase-decision long before your sales rep has interacted with them. So, it is essential for you to provide tailor-made offers to each of your customers. Create rich customer profiles that resonate your customers, monitor their web and in-app behavior, and create marketing campaigns that to their interests and preferences. 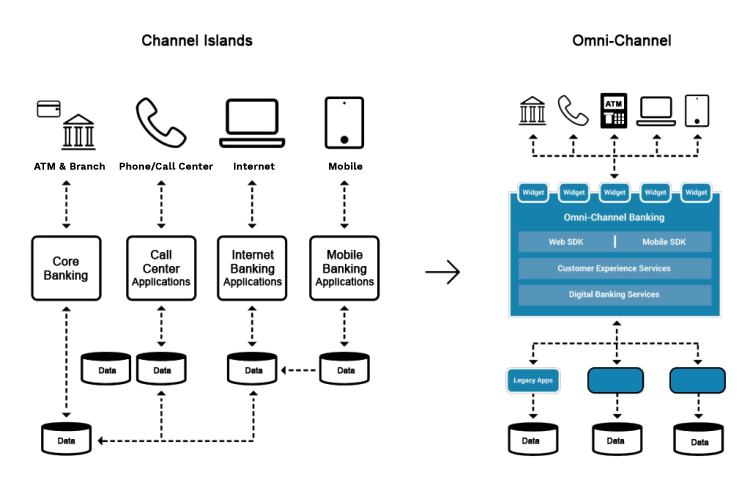 Implement multi-channel drip campaigns to ensure your customers have a unified digital banking experience. 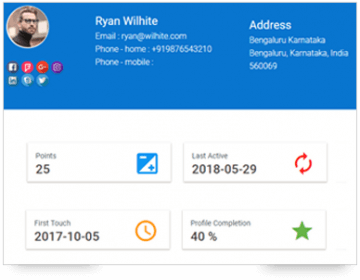 Profile your customers based on various data sources and information like social media profiles, demographics, background, job profile, family structure, account balance, and behavioral tracking. Use dynamic segmentation of Aritic PinPoint to segment your customers based on events, behavior, demographics, and buyer’s stage. 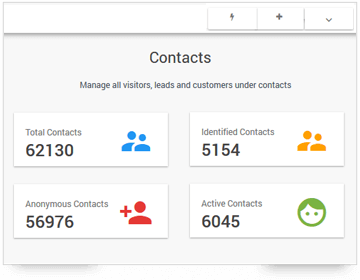 Insert lead engagement forms, track anonymous visitors, capture leads, implement kiosk contact engagement and API integrations. Perform complete contact audit log to keep your campaigns updated. Engage your customers, both new and existing, to upsell and cross-sell your products like mutual funds, insurance, fixed deposits, PPFs, credit and debit cards, and more. Use intuitive landing pages and AI-based lead prediction to understand what offers will excite your new users. Analyse lead behavior and page-based lead scoring for your existing customers as well to trigger a cross-selling. Create A/B split tests to identify what will work, opt for progressive profiling to know exactly what your customers are looking for, and create dynamic emails that align with your customer profiles. With over 50+ integrations, including bi-direction Salesforce Sync, know your customers from the beginning of time. Create a unified banking system that is smart, intuitive as well as transparent. Use easy drag and drop editor to customize your landing pages, email templates, and other marketing templates. 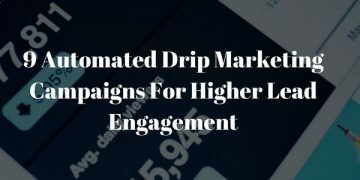 Create drip campaigns across web and mobiles, manage your marketing assets, and build a brand presence on social media platforms. Aritic PinPoint offers multi-user management and role management to make things smooth from the admin end. 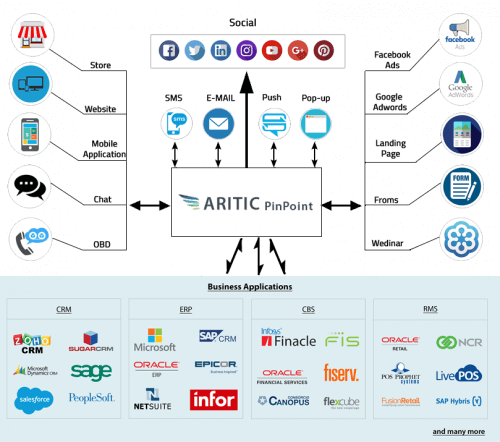 Aritic PinPoint offers an omnichannel customer experience to help you streamline all your customer conversations across multiple marketing channels, like web, front-office, mobile, call center, etc. Create your own marketing assets, save them in the cloud, and reuse them later across various digital touchpoints. Aritic PinPoint offers bi-direction Salesforce Sync and also with core banking system, like Flexcube (on demand). 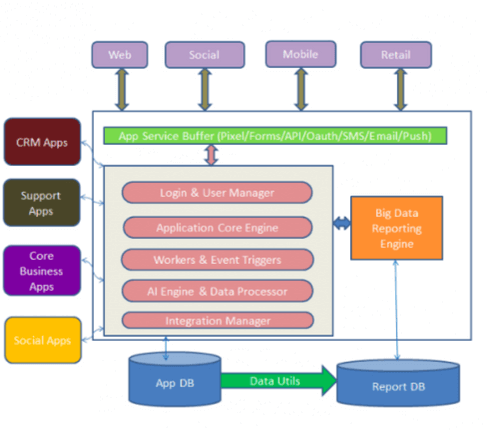 Starting with web activities to mobile browsing/in-app browsing, track your customers’ entire digital journey. Analyse their transactional behavior to identify their current location, map nearby ATM and bank branches for them. Dig in deep into your marketing automation campaigns to improve it. Know what worked and what didn’t. 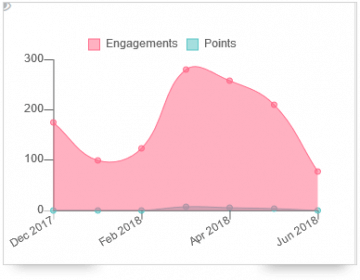 Measure your campaigns’ ROI and work to improve them in the next campaigns. 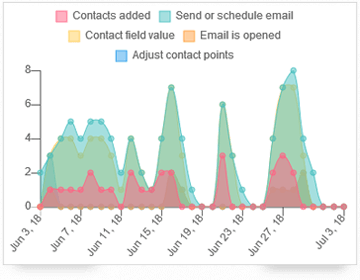 Use features like email and SMS performance analytics, campaign decision analytics, automation stepping analytics, engagement drop reports, and contact monitoring reports measuring your overall ROI. Facebook and Adwords Synced ads re-targeting. Keep track of customers online with Browser Fingerprint Tracking. Set automated reminders for your customers who are yet to finish their KYC submissions. Create customized alerts once the processing starts and once it is over. Set a geo-boundary and trigger alerts as and when any of customers leave or enter that fencing. Automate triggers and campaigns based on such activities. Enable Kiosk mode to avoid multiple visitor associations by turning off cookie for your visitors.Implement kiosk mode on a per-form basis for more advanced banking experience. 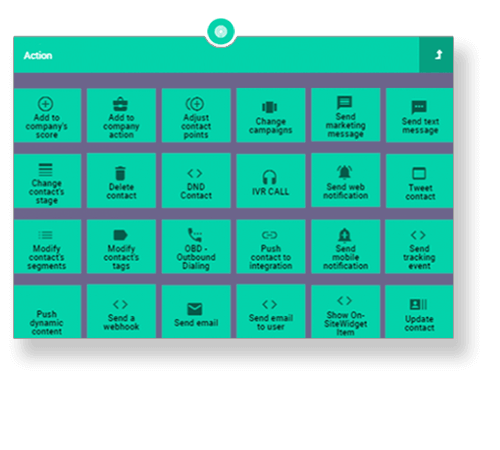 Automate feedback forms and emails for customers when they make a purchase or opt out of a campaign. Also, trigger feedback surveys time to time to understand your customers better. Why Aritic PinPoint is perfect for your bank? Any successful business or company can appropriately define that the only thing that is constant in their journey with the customers was the inconsistency. Lead nurturing is an integral part of inbound marketing. 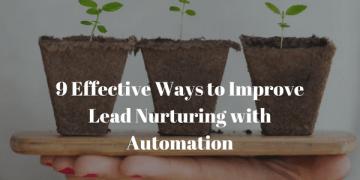 By definition, lead nurturing refers to the various efforts of a marketer to successfully convert a lead to become a buyer and then promoter. 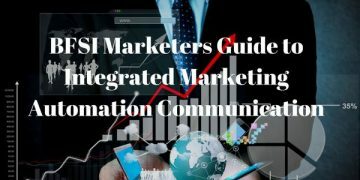 Marketing automation has come past being a hyped concept to becoming a mandate for every business looking to position their brand on the web. Consumers today are more conscious and well-versed about the problem statement and possible solutions.